The proliferation of documentaries in the 21st century is no surprise, given the radically shifting nature of the world we live in today; our grasp on the “real” is constituted loosely at best. An emerging breed of nonfiction filmmaking finds the genre expanding in exciting, adventurous, and unforeseen ways, not merely reporting on subjects but interrogating the very form’s capacity to reflect and render some semblance of truth. This series of documentary films, culled from across the globe, explores the adaptive strategies of the medium, co-mingling fact and fiction, and giving expression to Andre Bazin’s dictum that every film is, in essence, a factual hallucination. Jay Kuehner is a freelance writer, instructor, and programmer who contributes regularly to the Canadian quarterly Cinema Scope and the online cinema site Fandor. He has also contributed to Film Comment, IndieWire, Senses of Cinema, and Sight and Sound’s decade poll. He curated Pulsos Latinos: Films from the Frontier of Latin American Cinema at Northwest Film Forum, where he has also taught classes on the history of Documentary film and New Century Cinema. 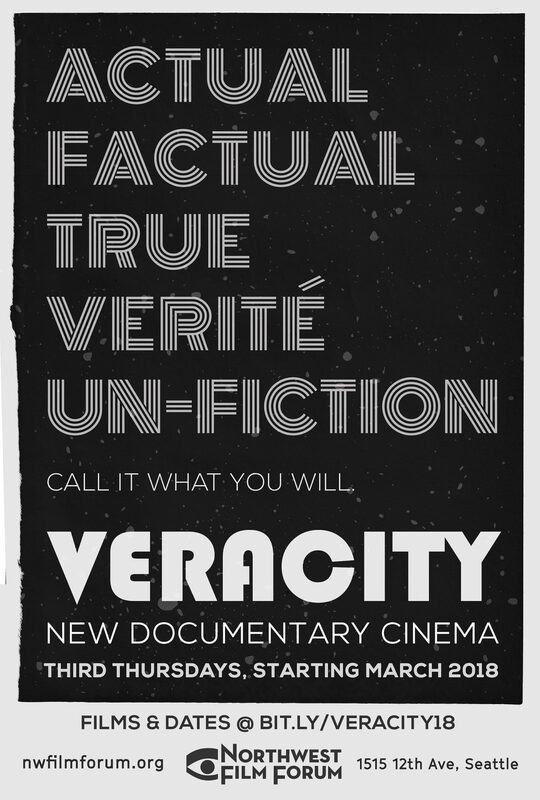 Veracity – Did You Wonder Who Fired the Gun?